With this Envelope Wax Seal Tool, you can create beautiful envelope wax seals on your wedding invitations or other party invitations and certificates. 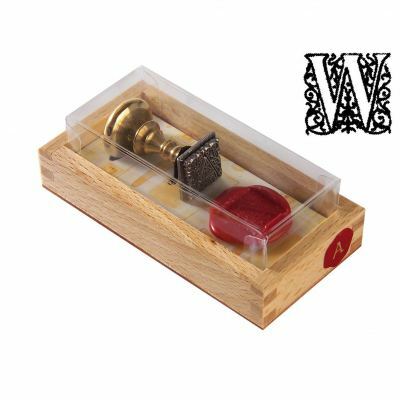 Just use dripping wax and press this wax seal design into the wax as it is cooling. These are the finest wax seal tools straight from France! For the best results, we recommend using gold or silver ink pads when creating your intaglio wax envelope seals. If you are not using ink pads while making your seals, use a sponge with olive oil to coat the design and prevent wax from staying in the design on the tool.